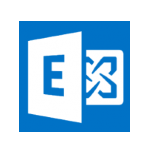 MaestroPanel installs the Microsoft Exchange 2013 CU8 support automatically and delivers it to you as ready to offer hosted exchange service by configuring it to work in multi domains. You can offer a full automatic and optimized WordPress Hosting with MaestroPanel. You just need to install the WordPress module of MaestroPanel on your system. Web Hosting altyapınızda artık SSL sertifikalarına para ödemeyin. Ücretsiz olarak sunulan bu servisi MaestroPanel Let's Encrypt modülü ile rahatlıkla kullanabilirsiniz. You can easily manage Redis service with MaestroPanel. You can provide your customers with Redis services and manage these, which are completely isolated from one another. You can perform the security controls professionally with the Netsparker module. Toplu e-posta gönderme servisi Sendloop'un MaestroPanel avantajlarından yararlanın. 50$ değerindeki 5.000 e-posta gönderimini ücretsiz olarak edinin. By becoming a dealer of PureVPN service with MaestroPanel, you can render VPN service in exchange of certain credits. Our module which is completely available for settings arranged for Proticaret applications, helps you offer a proper Proticaret Hosting. Do you demand a special module? Do you want to provide your users with a special service or integrate your own work flow into your Web Hosting infrastructure? Have a module on which you decide from its design to how it works.